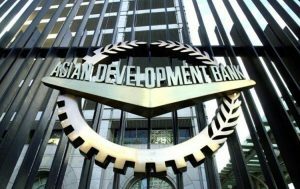 i. India and Asian Development Bank (ADB) signed a 105 million dollar loan agreement to continue financing the transmission system upgrades in Himachal Pradesh for increased supply of hydropower. ii. The third tranche loan is a part of the 350 million dollar multi-tranche financing facility for Himachal Pradesh Clean Energy Transmission Investment Programme. i. 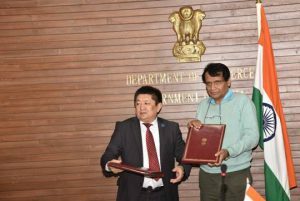 The 9th Session of the India-Kyrgyz Inter-Governmental Commission on Trade, Economic, Scientific and Technological Cooperation (IK-IGC) was held in New Delhi. ii. India and Kyrgyzstan have identified potential sectors where both sides may engage in areas like healthcare and pharmaceutical, environmental and technical safety, agriculture, information, tourism and culture, textiles and clothing, banking, labor and social development, mines and standards, metrology and certification sector. Kyrgyzstan Capital: Bishkek, Currency: Kyrgyzstani som. i. The 26th edition of Central and State Statistical Organizations(COCSSO) Conference was organized by the Ministry of Statistics and Programme Implementation (MoSPI). ii. The theme of the 26th Conference was “Quality Assurance in Official Statistics”. 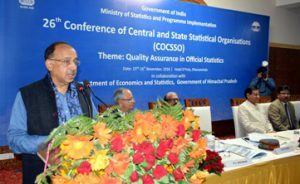 Union Minister of State for Statistics and Programme Implementation, Shri Vijay Goel inaugurated the conference. i. The Odisha government announced a new Biotechnology Policy 2018 to attract investments in the sector at the concluding day of the Make in Odisha Conclave, held in Bhubaneswar. ii. 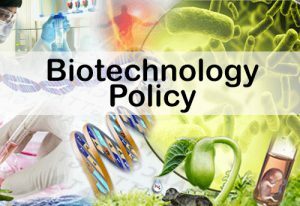 Odisha's Science and Technology Minister B N Patra said that the government will provide its full support for the development of the biotechnology sector by forming Public Private Partnership, bio-incubation centers, and bi-tech finishing schools. Odisha CM: Naveen Patnaik, Governor: Prof. Ganeshi Lal. 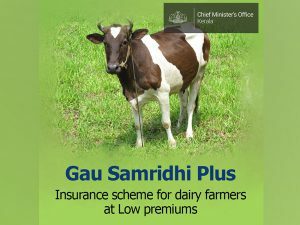 i. Kerala Chief Minister Pinarayi Vijayan launched the 'Cow Samridhi Plus Scheme' to provide insurance coverage to dairy farmers in the state. ii. Moreover, farmers belonging to the general category will be getting 50% subsidy on premiums while those belonging to Scheduled Caste (SC) and Scheduled Tribe (ST) category would get 70% subsidy on the premium. 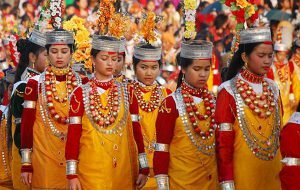 i. Nongkrem dance festival, an annual event during which prayers are offered for good harvest, peace, and prosperity of the community was celebrated with great zeal and enthusiasm by the inhabitants of the Khasi Hills in Shillong, Meghalaya. ii. The unique dance is performed by the members of Hima Khyrim, a sub-tribe of the indigenous Khasi tribe. Meghalaya CM: Conrad Sangma, Governor: Tathagata Roy. 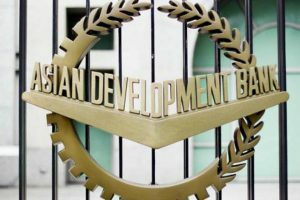 i. India and ADB have signed 3 important loan agreements in various fields/projects in New Delhi. A $169 million loan as the First Tranche of a $500 million multi-tranche financing to develop climate-resilient water supply, sewerage, and drainage infrastructure in at least 10 cities in the State of Tamil Nadu. A $105 million loan to continue financing the transmission system upgrades in Himachal Pradesh for increased supply of hydropower to the state and the national grid. 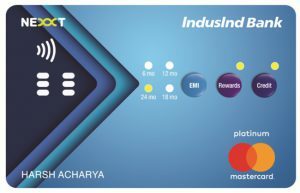 i. IndusInd Bank has announced the launch of IndusInd Bank Nexxt Credit Card, which empowers customers with a choice of payment options such as EMI, Reward Points or Credit at the push of a button, on the card, at the point of sale (POS). The bank claims it to be the nation’s first interactive credit card with buttons. ii. According to the bank, this card provides customers with the flexibility of 3 payment options at a POS terminal - Credit, Converting Transactions into EMIs with 4 tenure options (6, 12, 18 & 24 months) or using accumulated Reward Points, by simply pushing a button on the card. IndusInd Bank MD and CEO: Romesh Sobti, Headquarters: Mumbai. The card has been created in partnership with Dynamics Inc, which is headquartered in Pittsburgh USA, and designs and manufactures intelligent, battery-powered payment cards. i. 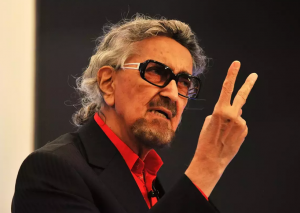 Popular ad filmmaker and theatre personality Alyque Padamsee passed away in Mumbai. Padamsee played the role of Muhammad Ali Jinnah in Richard Attenborough’s Oscar winner Gandhi. ii. A veteran in the theatre and advertising world, Padamsee was known as the brains behind several iconic Indian ad campaigns including Lalitaji for Surf, the Liril girl under the waterfall, Hamara Bajaj and the MRF muscle man. i. Decorated war veteran Brigadier Kuldip Singh Chandpuri passed away in a private hospital in Mohali, Punjab. He was 78. Chandpuri, who was an Army Major during the 1971 India-Pakistan war, had held his post through the night in the famous battle of Longewala in Rajasthan with just 120 men against a full-fledged attack by advancing Pakistani Patton tanks. ii. He was decorated with the Maha Vir Chakra (MVC) for the heroic stand-off against the tanks and forcing the enemy to retreat. 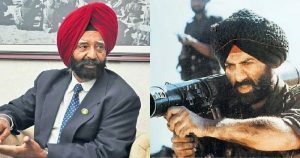 The feat of Brig Chandpuri and his men was later featured in Bollywood blockbuster movie “Border” which was released in 1997. His role was played by actor Sunny Deol.